Large number of funding options. Network of 75+ lenders means price competition. Funding options for nearly any business. Just one application to fill out. Uncertain if receiving best pricing through competitive bidding. May incur marketing and solicitations following info requests. Peer-to-peer lending platforms back some term loans (unproven in downturns). See above info for Lendio Reviews. If you are a current or former Lendio customer, we’d like to hear from you. How was your experience? Are you a repeat user? The fact that American Express is placing loans on Lendio’s platform says something. One of their new products is a hybrid merchant cash advance and a two-year business loan.1 This product would be for B2C customers who presumably have a substantial proportion of revenue coming from credit card sales (perfect for current Amex business customers!). But Lendio’s platform also offers products for B2B entities, such as invoice factoring, equipment financing, installment loans, invoice finance and revolving credit lines. As you get further along in the process they ask more about your business such as how revenues are generated credit cards, invoiced, etc.) documentation and business bank account information. As the process moves along, Lendio asks you a key question- Which of the following is most important to you? This is where the algorithm kicks in, prioritizing the variety of funding options. The quick business loans will not be the cheapest and the cheapest will take the longest to obtain. How is Lendio Different from Factoring Companies? Lendio is not a factoring company itself. Rather, it’s an online marketplace that matches businesses seeking capital with appropriate finance companies. Where traditional factors focus on face-to-face meetings, Lendio is strictly an online, fintech platform. 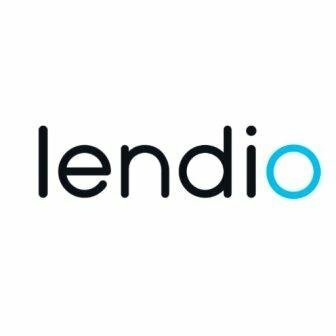 Similar to Fundera reviews, National Business Capital and Biz2Credit, Lendio uses proprietary algorithms to quickly vet applicants and determine a funding product that suits their needs and credit profile. Further, Lendio assists businesses in industries not covered by traditional factoring companies including gas stations, legal professionals, freelancing, auto dealers and even gambling businesses. Traditional factors concentrate heavily in the construction, transportation, staffing, manufacturing and government contracting industries. · Large number of funding options. · Network of 75+ lenders means price competition. · Funding options for nearly any business. · Just one application to fill out. · Uncertain if receiving best pricing through competitive bidding. · May incur marketing and solicitations following info requests. · Peer-to-peer lending platforms back some term loans (unproven in downturns).